Chrissy Teigen has had enough of seeing certain type of photos on social media, but it’s nothing naughty. Teigen, 31, took to Twitter to tell her six million followers to stop sending her pics of babies who look like her husband, John Legend. “For the LAST TIME, JOHN looks like a baby so A LOT OF BABIES LOOK LIKE HIM STOP SENDING ME JOHN BABIES,” the cookbook author wrote of her musician spouse on Monday, July 3. Of course, that led some fans to post more lookalikes, while others added their own humorous comments. “Y’all can redirect all John babies to me,” one Twitter user replied. “Turn the photos into a coffee table book! 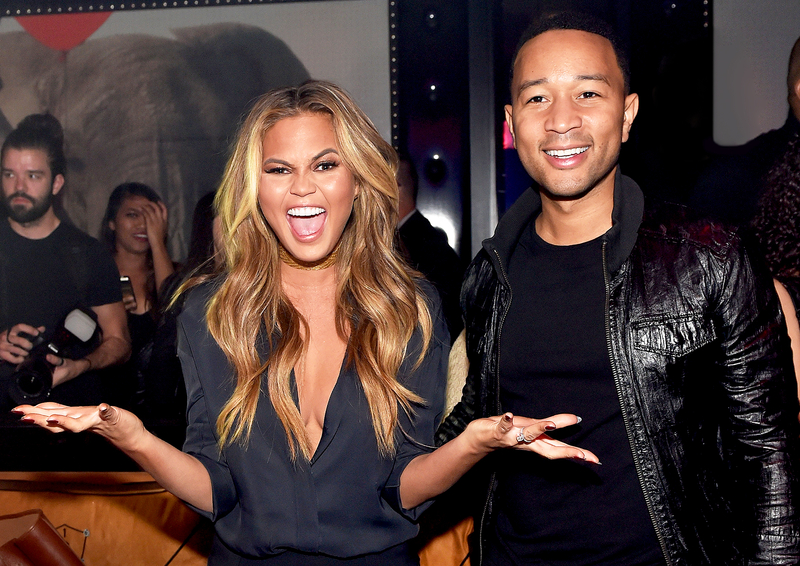 The Babes of John Legend!” another one suggested. “Are we 100 percent sure he didn’t get through college by being a anonymous sperm donor to a paying clinic, just asking lol,” someone else joked. “John would have responded to these tweets himself but he had to be put down for a nap before he got cranky,” another fan quipped. Speaking of cranky, it sounds like the model mom had her hands full during a 4th of July flight with their 14-month-old daughter, Luna. “I curse the times I ever bragged about how good my daughter is on planes,” she tweeted on the holiday.